We have completed a list of books that we think will fire a child's love of reading. The list is by no means exhaustive. Please click on Recommended Reading 2019 to download. The aim of our library is to foster a love of books and reading in children. The school was part of a Wiltshire 'Reading for Pleasure' pilot study. This was a response to some major government research on reading for pleasure, which you can find here. (external web link). Here is our Reading for Pleasure policy. Click here to see details of how we teach reading. 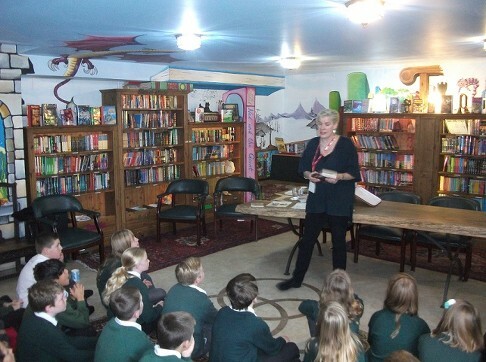 A visit in October 2015 from this year's Carnegie Medal winning author Tanya Landman - one of our children's favourites. 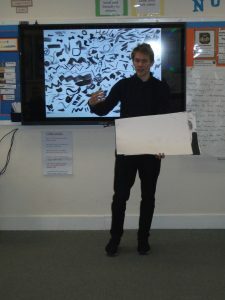 William Grill, author and illustrator visited Holy Trinity.